You'll be £19.99 closer to your next £10.00 credit when you purchase The Anglo Zulu War - Isandlwana. What's this? It offers a controversial but compelling account of the battle that underlines the consequences of operational arrogance and underestimating the fighting abilities of a less technologically equipped enemy - something that should resonate with all those who serve. Isandlwana is the latest of this highly respected experts studies of this fascinating war in Victoria's reign against a brave and skillful foe, in particular the story of the British Army's greatest disaster and defeat in the field. The evidence given by the five Imperial survivors at Fugitive's Drift is presented and it is valuable to have it all together in one place. Ron Lock was once a British military policeman, before embarking on a lifetime spent in east and South Africa. For the past twenty five plus years, he has been a Zululand battlefield guide of considerable renown. If you read no other book on the Zulu War this year; read this one! The liberal use of footnotes, a comprehensive bibliography and a useful index will please Lock's more scholarly readers, while the mainstream reader will be enthralled to encounter an entirely new angle on this enormously debated battle. This is a book that should be on the bookshelves of everyone who is interested in the history of South Africa. 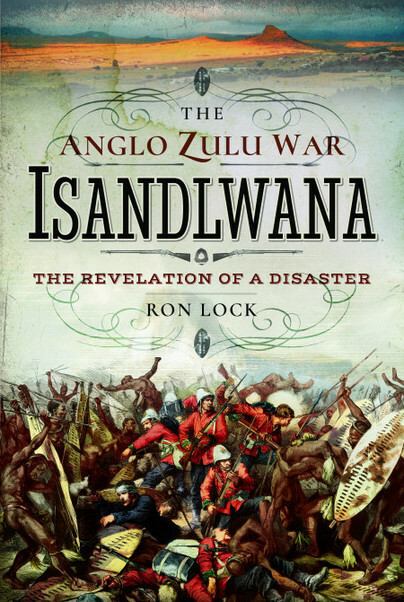 “Lock’s lasting contribution to the historiography of the wicked wars against the Kingdom of King Cetshwayo is likely to be his making of the truth about what led to the undoing of Chelmsford’s unprovoked invasion plans”. Although a little vague in places, it's certainly an interesting overview of the entire period.